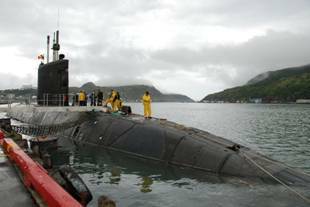 On April 6 ,1998 , the Canadian Government announced that four ex-Royal Navy submarines of the UPHOLDER class were purchased from Britain (in an 8 year lease-to-buy schedule). These submarines were decommissioned from the Royal Navy in 1993 and were then laid up for several years, after the Royal Navy decided to focus solely on nuclear submarines as a cost-saving measure. 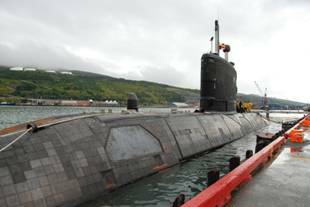 The subs have undergone preliminary refits at Barrow-in-Furness in England , and traveled to Canada for further " Canadianization " work once the Navy was convinced that they were ready. 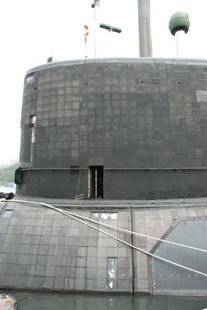 This class of subs is suffering a large number of teething problems on being reactivated, possibly exacerbated by the long period of deactivation. 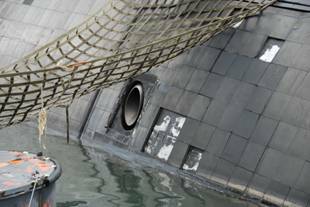 As well, the program to refit them to Canadian requirements is taking longer than expected due to manpower shortages resulting from the efforts required to ready ships for Operation Apollo deployments to the Middle East . CORNER BROOK has arrived in Halifax , and has undergone some " Canadianization " work ..
CHICOUTIMI was accepted by the Canadian Navy in Faslane , Scotland, in a ceremony in earler October, and was underway to Canada when she suffered a serious fire just forward of the bridge. The crew were able to extinguish the fire, but several crew members suffered injury from smoke inhalation, and one officer later died of his injuries. 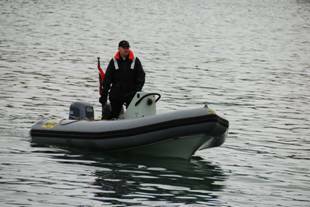 CHICOUTIMI was towed back to Faslane , and an investigation is underway into the incident. CHICOUTIMI was put on the back of a the transport ship Eide Transporter and arrived in Halifax on February 1, 2005. 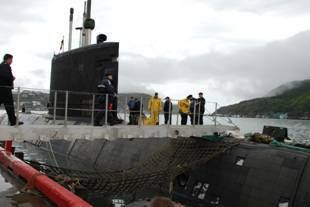 August 20 2007 HMCS CORNER BROOK (CP) - The crew aboard HMCS Corner Brook, hoping to leave behind a fatal disaster aboard its sister submarine three years ago, have returned home in a bid to instill public confidence in Canada's much-maligned submarine program. 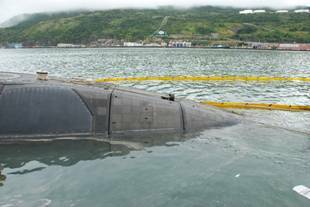 The 59 men and women on board Canada's only operational submarine want to move on from the shadow of the HMCS Chicoutimi fire that has haunted them since it claimed one of their own in October 2004. The Canadian Press accepted a rare invitation last week from the navy to step aboard HMCS Corner Brook for a first-hand look at training drills and mock scenarios as it travelled from St. John 's , N.L. to Halifax . As captain of the first Victoria-class submarine to traverse the ice-laden waters of the Arctic , Lt.-Cmdr. Christopher Robinson faces the challenge of improving the image of the country's fleet. Some of the public criticism of the Victoria-class submarines, stoked by tales of floods, leaky valves and missing acoustic tiles after Canada spent $891 million to acquire four of them from the British in 1998, was unfair, Robinson said. The trip to the North as part of Operation Nanook was intended to assert Canadian sovereignty. 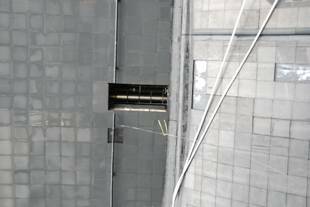 But it's also seen by some as a critical step toward changing the submarine program's image. "Certainly the navy is working hard to overcome Chicoutimi , because when the average Canadian citizen perhaps thinks of submarines, the first thing that comes to mind is Chicoutimi . And that of course is not a picture that our navy or the Canadian Forces really wants to have first and foremost in the minds of the Canadian public." "In the most challenging operational area in the world - the North - it executed a successful patrol without safety concerns." 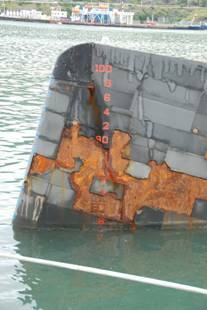 That came one week before Ottawa announced it wouldn't repair HMCS Chicoutimi until 2010. It's been sitting in dry dock in Halifax since the fire. Operation Nanook may also have been key to boosting the morale of Canada 's sailors. Many aboard HMCS Corner Brook agreed participating in the exercise lifted their spirits. 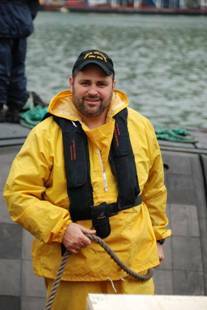 "There's an old navy term: sailors belong on ships and ships belong out at sea." The operation also helped ease the bottleneck of the next generation of submariners who have been waiting to earn their credentials.